Whilst judgments of value are the bread and butter of cultural policies, the label ‘cultural value’ has captured the imagination of researchers, arts sector professionals and even creative producers in a way that is revealing. Part of the fascination with cultural value lies, I would argue, in the hope that it might get cultural policy debates ‘unstuck’ from the focus on the ‘instrumental value’ of the arts and, especially post-austerity, their ‘economic value’ as central to justifications for public ‘investment’ on the arts and culture. As a consequence, the cultural value debate in the arts seems to have focused predominantly on a celebration of the value and importance of the arts. This has resulted in a advocacy driven effort to evaluate, measure, capture and demonstrate such value in the hope that it might convince policy makers, and even the Treasury, that the arts are worth spending public resources on even in times of austerity measures and wide ranging cuts in public expenditure. Driving my project is the intention to problematize this approach to cultural value and to question this prevailing understanding by bringing into focus the degree to which cultural value is in fact something that is continually defined and redefined, contested and fought over: it has a clear relational nature and it involves power struggles and vested interests. As Janet Wolff (1981) puts it, “Understanding art as socially produced necessarily involves illuminating some of the ways in which various forms, genres, styles, etc. come to have value ascribed to them by certain groups in particular contexts”. The allocation of cultural value therefore is an inherently political process and one in which power relations play an important role. There are winners and losers in struggles over value, as shown by the recent debates over the significant unbalances in per capita cultural spending between citizens living in London and those in the rest of England, which have been estimated as being £69 and £4.60 respectively. Similarly, the conclusion reached by both academic research and the analysis of Taking Part data that a degree and a professional occupation are the most accurate predictors of engagement with publicly funding cultural experiences, also poses serious questions of social justice and fairness in relation to how the arts funding system operates in England and how it might be see to effectively compound social inequalities. This is, of course, highly problematic, considering that widening access and participation are central to the rhetoric of arts funding, and opens up questions of fairness that the cultural value debate must engage with. The central aim of the project then, is to explore how concerns with fairness and social justice might be brought into public discussions on the value of the arts and culture and cultural policy research. To this end, the project is exploring whether the concept of cultural value might be harnessed as part of an emancipatory intellectual, cultural and political project aimed at achieving greater social justice, and what role of cultural policies might play in facilitating this. I am working with the concept of ‘misrecognition’ as developed, among others, by Nancy Fraser and considering whether publicly funded initiatives and projects that aim at redressing it might be a way for cultural policy to embrace and promote social justice. To this end, I’ve partnered with Cultural Solutions UK to look at a participatory project that they developed and run in 2012, with funding from the Heritage Lottery Fund. Working closely with the educational charity Lincolnshire Travellers Initiative, the Cultural Solutions team worked with children and young people from the Lincolnshire Gypsy and Traveller community and their families to work on a ‘cultural heritage conservation project’. 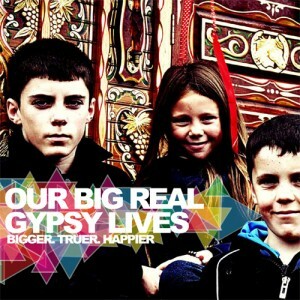 The project was interestingly called ‘Our Big Real Gypsy Lives’, which makes explicit the intention of the project to redress the misrecognition caused by Channel 4’s highly successful but controversial programme ‘My Big Fat Gypsy Wedding’. I was interested to discover how the project came about, what challenges the project team and the community artists working with the Gypsy and Traveller families encountered. I’m trying to establish what can be learned from their experience about the potential of a participatory arts projects to work as a vehicle for recognition and for the more equitable redistribution of ‘cultural value’ for the benefit of a community whose negative public image, disenfranchisement and ‘social abjection’ (Tyler 2013) has been significantly affected by another cultural product – and one that has generated substantial economic value as well as popularity with the TV public. 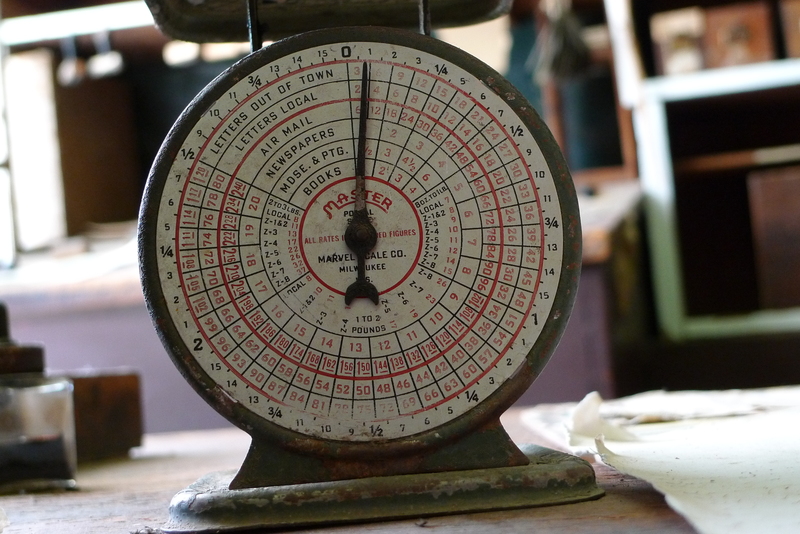 The fieldwork for the research has involved semi-structured interviews with the team involved in making the project happen and a number of key participants, including Gordon Boswell, whose Romany Gypsy Museum – a veritable labour of love and dedication – features prominently both in the original community art project and the research. The picture emerging so far reveals that cultural work of a socially engaged nature can bring fruits, but requires a remarkable commitment on the part of the delivery team, flexibility and good communication, and that theories of recognition and ‘right to memory’ (Reading 2011) can go some way towards refreshing cultural policy studies and bringing a concern for social justice to the fore. All places are valuable but some are more explicitly valuable than others. Who decides which are most precious and most worthy of public esteem, and how do they do it? 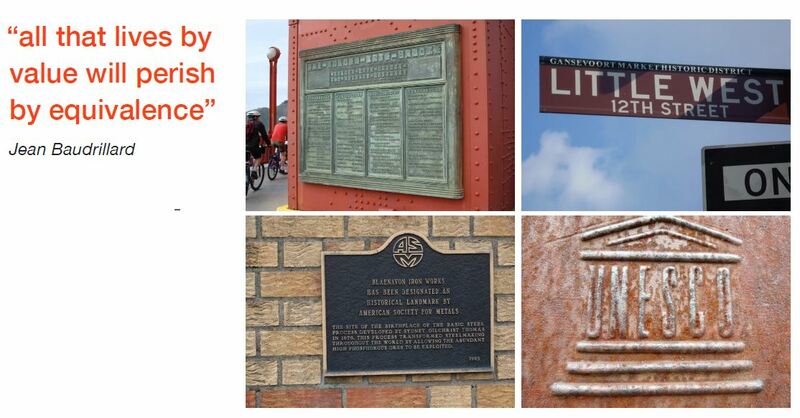 My ‘locating value’ project investigated US and UK preservation agency practices of listing, landmarking and designation. Visits to Washington DC and Bristol allowed me to examine the development and application of the various criteria and protocols of assessment employed in the evaluation of historic buildings. My aim was to use historic preservation as a working context through which to test the age old philosophical question: is value found or is it made? I wanted, specifically, to remove some of the mystique that surrounds the assessment of non-economic kinds of value, and to challenge the veneer of academic objectivity that gives such systems their authority. In the end I encountered a group of dedicated practitioners in the awkward position of both believing and not believing in the fair and ‘neutral’ valuational frameworks they work to apply on a day to day basis. On the one hand preservation officers could use their system to defend themselves against charges of bias: “We don’t have views, we’re not trying to be arbiters – we feed nominations into the system and see how they measure up”. On the other hand many recognised that influence was often and is still brought to bare in the composition of lists either through external political pressure or internally held personal preferences and priorities. Less obvious though was the systematic bias coded in to logics of selection that privilege the kinds of histories that are already heavily represented. It was a tremendous conceit for the originators of the lists to assume that their own tastes and sensibilities (those of a white male professional class patronised by an economic and cultural elite) could operate as the default setting of value and work on behalf of us all. Today the skewed nature of the United States National Register of Historic Places, the National Historic Landmarks Program, and the UK’s various statutory lists of buildings, serve to record, amongst other things, political influence. Those populations underserved by preservation agencies in the past are now being specifically targeted with outreach initiatives and an associated effort to expand lists in directions that better reflect social and ethnical diversity. The research project developed a relational theory of value to question this kind of ‘inclusion via expansion’-based solution. A relation theory of value asserts that any judgment of value involves the reciprocal removal of value from something else. We are not simply saying therefore that one thing is good, we are unavoidably saying that one thing is better than another, one building should be ranked higher than another, one application for funding is more worthy than another, and so on. Value relies on creating an equivalence. It operates in a zero sum game. Value cannot be self-sufficient and infinitely amassed since every attribution leads also to a disavowal. By identifying only the very best and showcasing the exclusively positive outcomes of their listing practices preservation agencies in the US and UK ignore value’s limits. In his essay on the Destiny of Value Baudrillard makes this same point: “Because we no longer know what is true or false, what is good or evil, what has value or does not, we are forced to store everything, record everything, conserve everything, and from this an irrevocable devaluation ensues… all that lives by value will perish by equivalence” (1998, 4). So if value as a concept is to promote social justice and advance equality then what we require more than anything else is its re-distribution. We can’t simply add more things to a list, we need to take things off the list as well.